Deep, sweet, rich taste when matured. Non-astringent, large, round, flattened fruit has reddish-orange skin when ripe. Self fertile ripens in November. 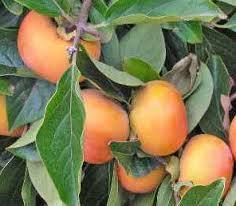 All persimmons are self fertile, however will produce higher yields with multiple plants.